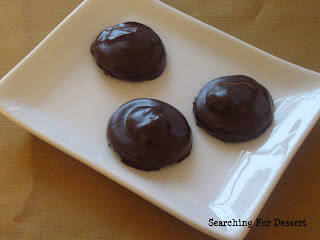 Sadly, I did make a mistake but they turned out well so I'm still posting the recipe. I'll try it again with the ingredients I left out (oops). I had a lot going on while I was trying to make these. I accidentally left out the cream and the vanilla in the cookies, but surprisingly they weren't dry. Naturally they don't taste exactly like the original but they're a great stand in until you can get the real thing. I don't have a double boiler so I used a glass bowl on a saucepan with a little water in it. 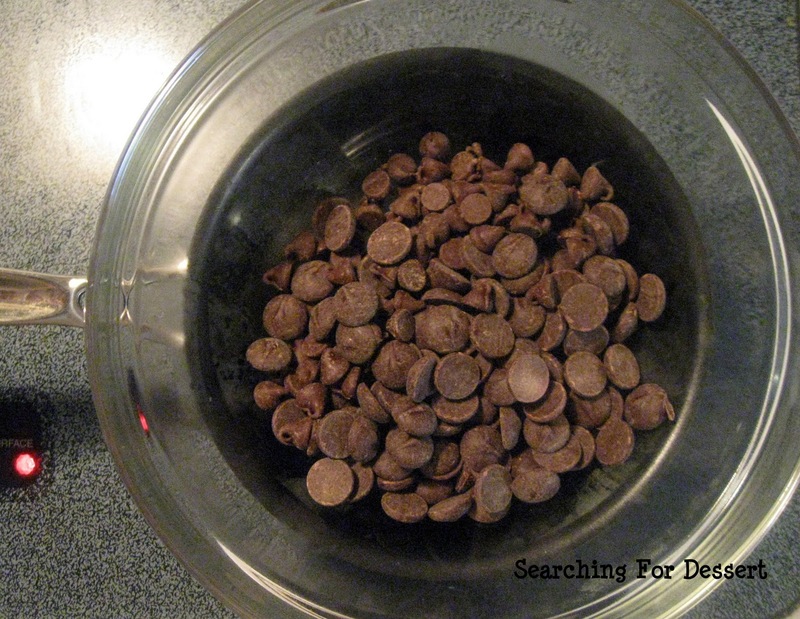 Be careful not to get any water at all into your bowl of chocolate or it will cease up and you can't use it for dipping. Make sure your utensils like your spatula is really dry also. 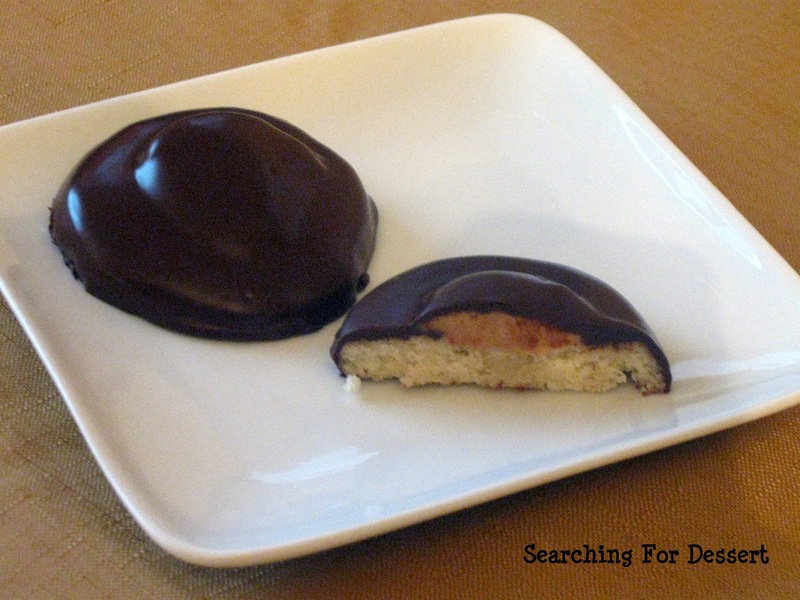 The peanut butter filling made a little to much but I may or may not have just eaten the rest :). Happy Baking! I made these again and separated the dough in half, then put it in the refrigerator for 20 minutes. I pulled it out of the refrigerator one ball of dough at a time and rolled it out to 1/8" thick (which worked really well). I cut out the dough with a 1 3/4" round cutter and placed them on the sheet pans, then baked them as directed. Changing the method of preparation made the process much much quicker and the thinner cookies are even better! Also, I was able to yield 30 cookies instead of 16-18 because they were a little smaller and thinner. I have changed the directions below to reflect this new process. Hope you enjoy! 1. Prepare the cookie base. Using the paddle attachment in a stand mixer, cream the butter and sugar until light and fluffy. 2. In a separate bowl, sift together the flour and salt. In 2-3 increments, stir into the butter mixture, scraping down the sides of the bowl occasionally. 3. Add the cream and vanilla; stir only until incorporated. 4. Wrap the dough in plastic wrap (separate it into two balls of dough if it is easier to handle that way) and refrigerate for 20-30 minutes, until it is firm enough to roll out without sticking. 5. Preheat the oven to 350°F. Line two baking sheets with parchment paper. 6. Roll each ball of dough (if you separated it into two) to 1/8" thick, then cut out circles with a 1 3/4" round cutter. 7. Place the rounds of dough on the prepared cookie sheets, leaving about an inch between (they will spread a little, but not too much). 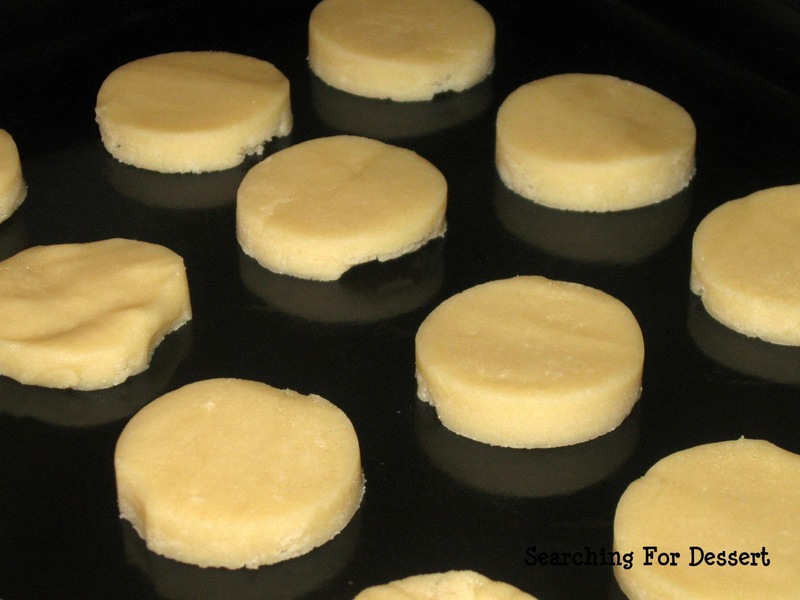 8 Bake for 10-12 minutes, or until they have a dull finish on top and are just golden on the edges. 9. Remove from oven and let cool for about 5 minutes on the sheet. As soon as they are not too hot, using a thumb or the back of a small spoon, make an indent in each cookie (they should still be fairly soft, so it should be easy to indent them without breaking them). Leave them right where they are for the moment. 10. In a medium saucepan, melt the peanut butter on low heat until it is a thick, easily stirred liquid. Add the confectioners' sugar and stir until incorporated. Add the vanilla last, stirring in until incorporated. Remove from heat. Let it sit for about 10 minutes; the mixture will start to thicken a bit. 11. 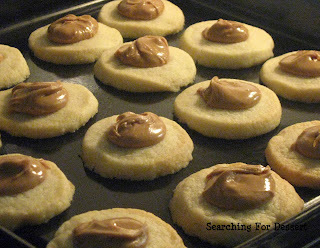 Place a teaspoon (a little more or less, upon your taste) of the peanut butter mixture in the indent on each cookie. 12. 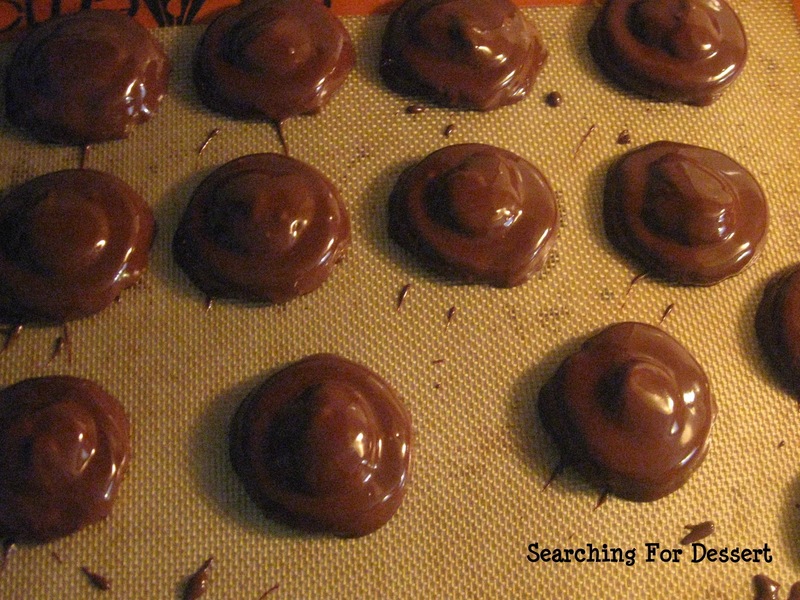 It would be best to use a double boiler to melt your chocolate at this point. (I do not have one, so I melted it in a glass bowl over a medium saucepan with about 1” of water on low-medium heat). 13. To coat the cookies, hold each cookie on a fork (so that it is sitting on the tines) with one hand, and with your other hand, using a spoon, let the chocolate mixture drip on top of the cookie until coated. Use your spoon to gently "scrape" the coating so that it covers the entire cookie; let some of the excess chocolate drip off, and then place the chocolate coated cookies on a sheet of waxed paper, nonstick silicone, or even aluminum foil. 14. Let set for 2-3 hours before enjoying.